Frank Jean received his Bachelor of Science in Education at Valdosta State College. He spent the next several years primarily in customer relations for a real estate firm in Gainesville, Florida. In relocating to the Fort Myers area, he worked as an educator. However, his life-long interest in health and wellness combined with his love of teaching others led him to pursue a certification in Massage Therapy. Frank graduated, with Honors, from the Florida Academy of Massage, where he was presented the Award of Student Excellence. 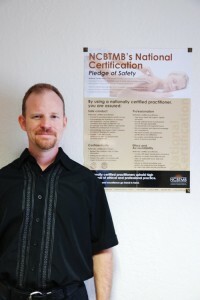 He then received the notable, National Board Certification from the NCBTMB (National Certification Board for Therapeutic Massage & Bodywork.) Since opening his massage therapy practice, Frank Jean’s primary focus has been assisting those with chronic pain or injury related conditions. Frank pursued an additional level of education and certification specific to Medical Massage Therapy. He then received the designation of Certified Medical Massage Practitioner. His interest in health and his training in education are the perfect pairing for helping clients work towards their wellness goals. His compassionate care is evident in his desire to help those in need of pain management and those desiring to make lifestyle choices that will contribute to improved overall health. 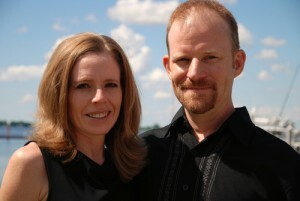 Frank operates his business with his wife , Amy Denius-Jean, Office Coordinator. She received her Bachelor’s Degree in Biological Sciences. In relocating to the Fort Myers area, Amy continued her certification in the field of Education . She worked for many years as an educator, specializing in early childhood and child development. Childhood nutrition was an on-going element of her work in the “whole-child” approach to development & learning. She has been involved in the field of health & wellness for many years. Frank Jean LMT • National Board Certified • Certified Medical Massage Practitioner | Powered by Mantra & WordPress.